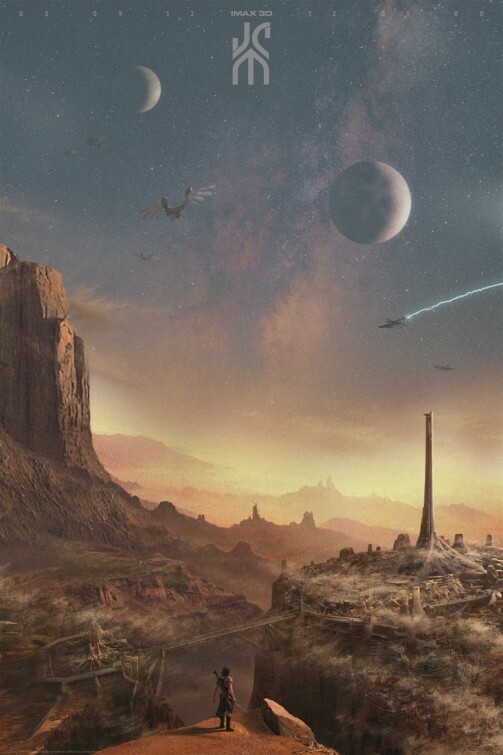 Here's a special new poster for JOHN CARTER from Mondo with artwork by J. C. Richard. These are supposed to be given away at certain midnight IMAX screenings of the film. John Carter hits theaters on March 9th, 2012. From Academy Award-winning filmmaker Andrew Stanton, "John Carter of Mars" is a sweeping action adventure set on the mysterious and exotic planet of Barsoom (Mars). Based on the classic sci-fi novel by Edgar Rice Burroughs, the film tells the story of John Carter (Taylor Kitsch), who is inexplicably transported to Mars where he becomes embroiled in a conflict of epic proportions amongst the inhabitants of the planet, including Tars Tarkas (Willem Dafoe) and the captivating Princess Dejah Thoris (Lynn Collins). In a world on the brink of collapse, Carter discovers that the survival of Barsoom and its people rests in his hands.